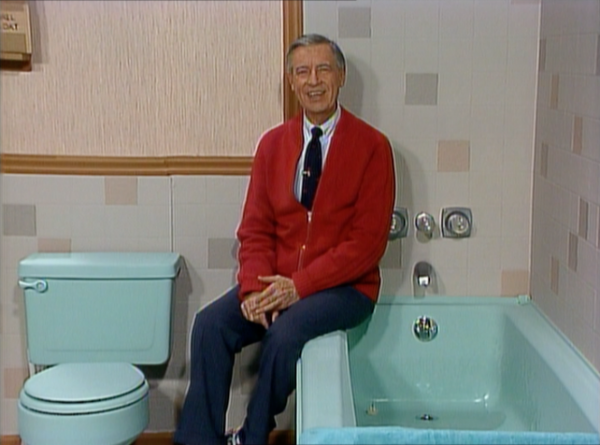 Mister Rogers calls it his “television house” because he wants children to know it’s not his real home where he lives with his family. This is the place where he stops by during his work day to have a “visit” with his television neighbors. Before the term “media literacy” was ever coined, Fred Rogers was helping his young viewers understand that what they saw on television was not real life. Over more than 30 years of production, the house barely changed. It always looked old fashioned. 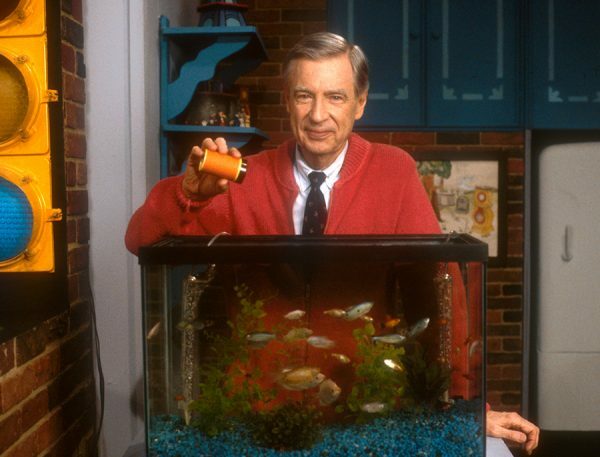 When Mister Rogers enters, with his song and the change from his work clothes to a sweater and sneakers, he’s inviting us into a setting that’s familiarly homelike and homey. This is a place where we feel comfortable and welcomed. One day Fred received a letter from a father on behalf of his 3½ year old son with a particular concern. That was in 1986. Knowing how important a bathroom is to young children, he was sure to show that there was indeed a bathroom in his television house. That gave him the opportunity to talk directly with his young viewers about something that so many of them were thinking quite a lot about. The fish tank wasn’t there from the beginning. Mister Rogers introduced it after the first year. He wanted to show children what it means to be responsible for caring for a pet. Feeding the fish soon became part of each day’s routine. It became so much a part of his routine that sometimes he’d feed the fish without saying what he was doing. Times like that disturbed a five-year-old blind girl whose father put her thoughts in a letter.“Please say when you are feeding your fish, because I worry about them. I can’t see if you are feeding them, so please say you are feeding them out loud.” And so he did. 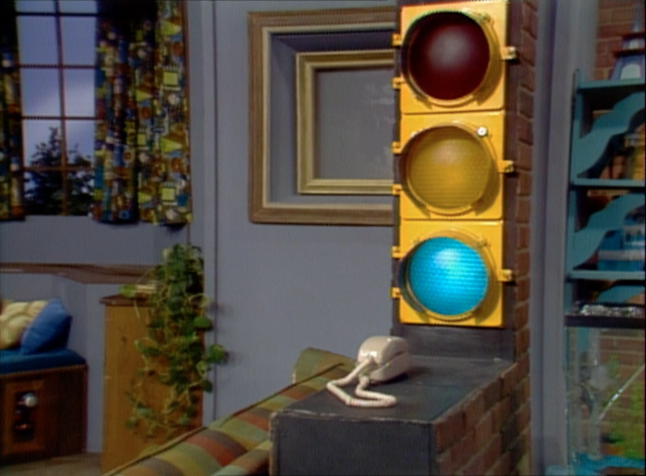 Why is there a stop light in Mister Rogers’ living room? And is it true that at the opening of the program it is always on yellow to remind children to slow down? There isn’t much of a real reason why Mister Rogers has a stoplight in his house. He was given it as a gift when the program first began and he thought it looked familiar, fun and different and maybe he would figure out a way to use it in the program. And no, it wasn’t always on yellow, though a visit with Mister Rogers was indeed a time to slow down.